For our final episode of the season, show creators Ted and Jeff Alvarez step out from behind the curtain to talk about how The Explorist came to be, how the show gets made, and what comes next. Plus: Highlights from a season that spans five continents and many memorable characters — from the jungles of the Congo to the parks of Baltimore to the bottom of the world in South America. For our final episode about modern hunter gatherers, we talk to National Geographic photographer Kiliii Yuyan, who honors his indigenous background by documenting extant hunter-gatherer tribes in the Arctic. He shares stories about close calls out on the ice, why indigenous cultures are so resilient, and why harnessing that resilience might be the key to surviving an uncertain future. In this episode, we feature a conversation between our host, Ted Alvarez, and Bryan Pope, an instructor at Earth Native Wilderness School. For a few years now, these old friends have gone on wilderness trips to experiment with modern and traditional survival skills — which often means breaking a multi-day fast with a meal of creepy crawlies. Here, they go deep on survival sensationalism, the relative horrors of trapping vs. industrialized farming, and why wilderness living resonates with all kinds of people. In 1997, 31 gray wolves were reintroduced into Yellowstone National Park. Today, their descendants roam nearly to the Pacific Ocean — and one of them lives within commuting distance of Seattle. His name is WA75M, and to survive he'll have to navigate the raw wound that divides urban and rural America. We follow ranchers, scientists, conservationists, and journalists to find out what a wild wolf is worth to his new neighbors -- and what that means for wilderness in the modern world. Read Emma Marris' story, "A Very Old Man For A Wolf," right here. It's a question that unites weather nerds, powder hounds, and 8-year-olds praying for a snow day: Where does the most snow fall on our planet? A squad of meteorologists, skiers, rangers, and other experts join Justin Nobel and The Explorist to search the globe for the snowstorm that doesn't end. Read about Justin Nobel's trip to Japan in National Geographic. Read Christopher Burt's Extreme Weather: A Guide And Record Book here. Read Leif Whittaker's memoir My Old Man And The Mountain here. Read Scott Schell's Backcountry Skiing: Skills For Ski Touring and Ski Mountaineering here. Read Cliff Mass's Weather Of The Pacific Northwest here. Adele Inugai Hinrichs designed and illustrated Unpacking TOK. Learn more here. If we look where sonar and satellites can’t reach, deep into the guts of the Earth, this planet still has a few surprises left for us. 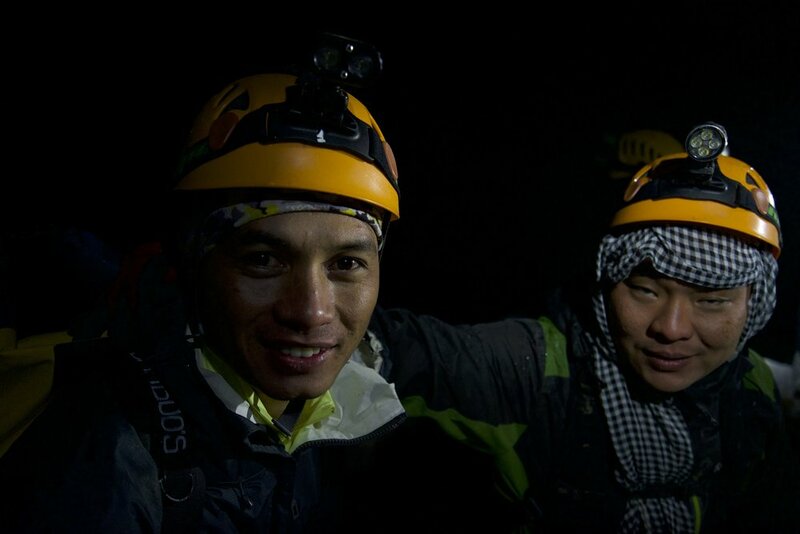 Case in point: Hang Son Doong, the largest cave in the world, was only discovered in the last decade. In this episode, we visit Central Vietnam to understand how this discovery has transformed the people and the jungle around it — and to journey into the belly of the beast itself. Read a version of this story in Backpacker Magazine. Go far south enough and you’ll end up in Tierra del Fuego, a wild frontier where Patagonian glaciers collide with the Antarctic sea and the bloody chaos of history feels as close today as ever. We traveled to the border of Chile and Argentina to follow the path of explorers like Magellan and Darwin — and we found a modern-day pioneer who ran away from it all to make a home at the end of the world. Thanks to Serial, The Wire, and West Baltimore’s own bloody history, Leakin Park is infamous for the 71 dead bodies dumped near its expansive forests and waterfalls. But one woman and a host of true believers are trying to help fix what locals call “Bodymore, Murdaland” by doing something revolutionary: taking kids camping in its biggest park.